The NAF has a special focus on identifying bottlenecks and barriers hindering free trade of prioritised sectors in the context of the ASEAN Economic Community (AEC). The event convenes around six sector-based “Lifting-the-Barriers Roundtables” with vertical emphasis on issues specific to the selected sectors. The roundtables serve as a platform for different stakeholders to deliberate on the future of their sector and our ASEAN region as a whole. Participants of this discussion include regulators, private sector leaders, service providers, manufacturers, academics and many more. 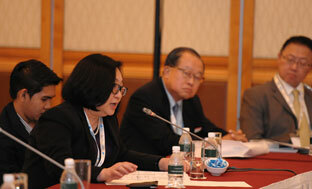 The selection of discussants aimed to provide a well rounded and truly reflective debate. The ASEAN market, with a population of around 600 million people, remains one of the brightest growth sectors for global aviation. There are two contributing factors: a quickly growing tourism industry driven by intra-ASEAN travel as the region’s populace become increasingly wealthy; and robust international business travel driven by the region’s economic fundamentals. Yet, the development of the sector is being stymied by the fragmented nature of ASEAN’s aviation regulatory framework, which is generally protectionist in nature. This has in turn created inefficiencies for airlines, raising operating costs, as well as created blocked linkages that prevent airlines from operating throughout the region. 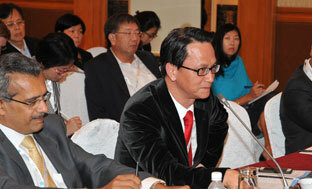 The findings of a research paper by Dr. Alan Tan of the National University of Singapore was presented at the session. The paper identified several obstacles to ASEAN aviation including infrastructure congestion, the lack of a central aviation authority for the region and the non-unanimous participation in aviation agreements by key markets. Chaired by Tony Fernandes, Group CEO of AirAsia and co-chaired by Emirsyah Satar, CEO of Garuda Indonesia, the roundtable session identified several key takeaways to be reported back to the ASEAN aviation authorities and the governments of each ASEAN member nation. Nonetheless, it is plainly evident that more dialogue and engagement will be required before a single aviation market is possible. 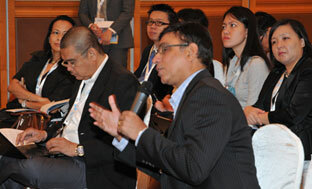 ASEAN is a young and socially engaged society. These characteristics are highly relevant to the telecommunications industry regionally. Mobile connectivity in the region is highly relevant and will play a critical role in bridging diversity and enabling economic prosperity. The discussion, in conjunction with a presentation by the research partner Bain & Company, worked through these barriers and provided several possible recommendations to overcome these issues. In summing up, Alex and Ernest placed the emphasis on transparency, realising the potential of OTT, as well as an ASEAN level regulatory framework in which ASEAN telcos can operate in harmony. 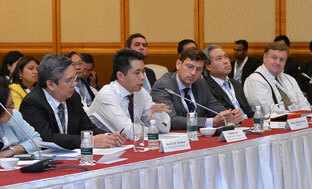 In a lively and well attended roundtable session, industry giants from the region’s Infrastructure, Power and Utilities (IPU) sector debated and brainstormed some of the barriers and issues they face with the integration of the ASEAN Economic Community in 2015. In kicking off the discussion, research partner, McKinsey & Company identified several key themes such as regulatory inefficiencies, issues of governance and the role of the private sector as part of the solution to building infrastructure from a funding perspective. 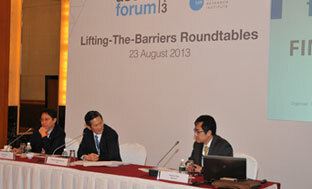 Chaired by Jaime Augusto Zobel de Ayala, Chairman and CEO of Ayala Corporation and co-chaired by Francis Yeoh, Managing Director of YTL Corporation, the essence of this roundtable was that full integration within ASEAN is only achievable when each individual country attains a certain basic level of infrastructure. There was a general consensus that there were funds and investors eager to invest in ASEAN’s infrastructure projects, provided the conditions with regard to the regulatory environment and policy stability was right. 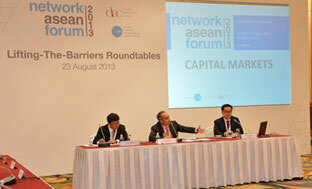 At another well attended session, the Capital Markets roundtable provided a lively and engaging discussion. 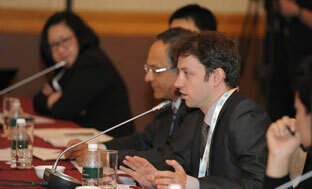 Participants included regulators, banking institutions, brokerage firms and representatives from various stock exchanges. The research partner, Oliver Wyman, produced a concise presentation outlining the issues facing capital markets in the region. The key questions that set the tone were how to develop a stable pan-ASEAN investor base and the measures needed to achieve a more integrated, harmonised ASEAN capital market. 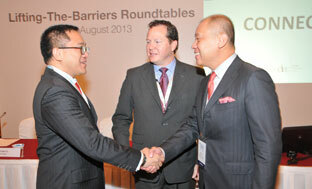 Led by Chair Nazir Razak, CIMB Group CEO and Co-Chair Cezar Consing, President of Bank of Philippine Islands, the discussion delved into several persisting issues faced in the market. These included issues such as the non recognition of prospectuses and documents issued by other countries, barriers to cross listing of publicly traded entities and sudden changes to equity and ownership limits which have created inefficiencies and obstructed the path towards market integration. The session was moderator by Patrick Walujo, Managing Partner of Northstar Pacific Group. Additionally, the tapering off of the US quantitative easing (QE) programme and signs of recovery in the global market also sparked additional discussions and concerns about the so called ‘hot money’ leaving ASEAN’s shores. As the session ended, it was clear that more engagement was required to address these issues and integrate the fragmented regulatory landscape across ASEAN. 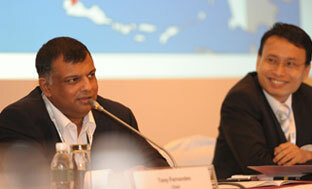 A key component in the ASEAN Economic Community 2015 vision is the liberalisation of the financial services industry. At the Financial Services roundtable discussion, participants, including the heads of banks in the ASEAN region, had a robust discussion identifying the barriers to realising this vision. Research partner, Boston Consulting Group, set the tone for the discussion with a presentation that questioned long held assumptions by both banks and regulators. 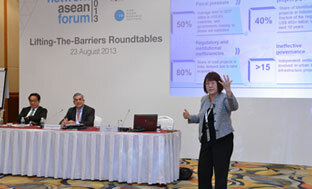 In kicking off the discussions, the moderator challenged the participants to consider two questions – whether regionalisation was necessarily a good thing for ASEAN banks and whether liberalisation was such a bad thing for regulators to consider. In summing up, Chartsiri Sophonpanich, President of Bangkok Bank and Chair of the roundtable said it was evident that the financial services sector was more diverse and complex than other sectors under the purview of the AEC 2015. This sector, thus required more robust efforts and accountability from the private sector. Budi Sadikin, CEO of Bank Mandiri and roundtable Co-Chair, expanded further that a start would be by bringing regulators from across ASEAN together with the industry players to effectively identify the roadblocks and to work together to decide how to meet the aims of AEC 2015. ASEAN is a diverse region with member countries having different economic, social, cultural, infrastructural and political characteristics. Healthcare response, policies, resources and infrastructure are defined by the characteristics of each member country and the state of the country’s economic development. 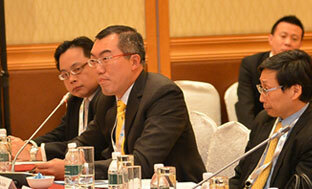 Chaired by Dr. Lim Cheok Peng, Managing Director of IHH Healthcare Berhad and Co-Chaired by Kenneth Mays, Senior Director of Bumrungrad International Hospitals, the discussions revolved around the varying levels, standards and quality in the healthcare industry across ASEAN. A presentation by research partner, Accenture, demonstrated that the highest spend per capita on healthcare is Singapore, followed by Malaysia and Thailand. The higher-income countries are ahead in terms of allocation of resources, availability of medical talent, access to healthcare and quality of care. The healthcare systems in these countries are also compared to the quality of healthcare in the US and UK. 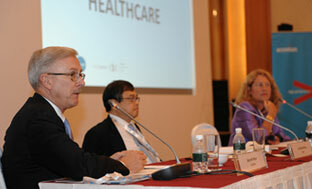 High standards and quality of healthcare have also led to a growing healthcare travel industry in the region. The healthcare divide is, thus, prominent. Countries like Lao PDR, Cambodia and Myanmar are severely resource strapped and unable to respond to healthcare needs locally. For instance, for every 1,000 of its population, less than one doctor and nurse are available and there are less than 10 hospital beds for every 1,000 people. The road towards AEC provides an impetus to explore possibilities in addressing healthcare disparities between the richer and poorer countries in ASEAN. Together, public-private partnerships within the region could lead to collaborations that could leverage on technical expertise, cross country training and mobility of resources to assist less-developed member countries raise standards, capabilities and capacity of the local healthcare eco-systems.